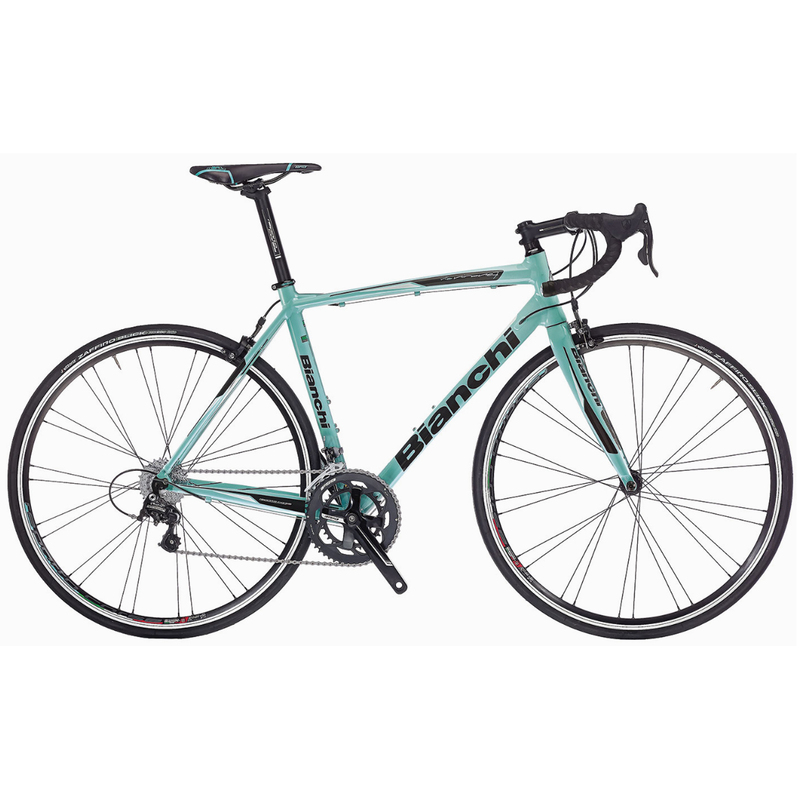 The Bianchi Via Nirone 7 road bike, named after the address of Edoardo Bianchi’s first workshop is a lightweight, responsive road bike made from triple-butted 6061-Series Aluminium with hydroformed tubing to give a high-performance ride as well as elegant Italian styling. The Nirone 7 has been designed to be comfortable on long-distance road rides while remaining spritely and responsive when you need it to be. The alloy frame is coupled with Bianchi’s carbon-legged fork which includes Kevlar inserts interwoven into the fork which help dampen vibrations from the road surface making your ride even more comfortable. PLEASE NOTE: All of our bikes are built to order. This usually takes between 3-8 working days depending on time of year. I bought this bike in the sales at an absolute bargain compared to what any other site offered. The Campagnolo Xenon and Veloce components are both smooth and reliable and allow for ease of shifting. The bike in a 55cm frame weighs in at just under 10kg which is a little hefty however it didn`t take away from the comfort of the ride. I would 100% recommend this bike to anybody looking to buy a new road bike.